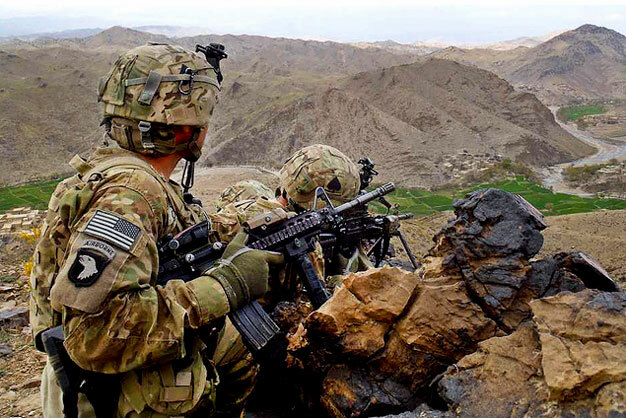 Soldiers from Company C, 1st Battalion, 506th Infantry Regiment, 4th Brigade Combat Team, 101st Airborne Division, Task Force Currahee, pull security from the top of a mountain in Paktika province during operation Surak Basta III on June 23. The operation was to infiltrate near the Afghanistan-Pakistan border in order to stop enemy fighters from entering into Afghanistan. Photo via US Army.